I’ve been writing for over 50 years. 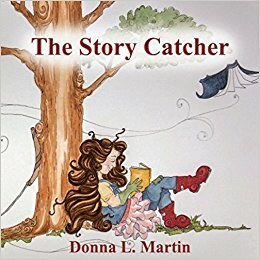 From poetry and flash fiction to young adult and picture books. Words pilled upon more words to express the rambling thoughts of an inquisitive mind. I knew from early on writing would be with me forever. I just never anticipated others would find it a worthless endeavor. When I was much younger I began a journey into the world of non fiction research. I was intrigued by the similarities between Greek and Roman mythology. I spent every day for an entire summer researching and taking detailed notes. Page after page in a spiral notebook filled with what to a 10 year old child seemed like the beginnings of a life’s work. By the end of the summer I began to see patterns and eagerly showed my endless hours of research to someone whose opinion mattered to me at the time. Imagine my shock and dismay to be told my writing was worthless…and even worse, I was forced to shred every bit of research I had meticulously recorded because I had “wasted” paper writing down my notes. That one act of cruelty helped shape my writing destiny for the next 40 years. From then on I wrote in silence, sneaking behind closed doors to record my thoughts. No longer writing for the world, I wrote for myself. But still I wrote. Words piled upon more words to express what I no longer felt safe saying out loud. Then came the day ten years ago when I had an epiphany. What I was told was worthless writing was suddenly welcomed by like minds. I was encouraged to continue my writing and to share it with the world around me. I created a blog, joined the writing community, took a leap of faith and showed my stories to others. My feelings of worthless writing began to change and with it, my writing itself began to change. Became stronger. It began to reflect a firmer belief in myself as a writer and today I do everything I can to empower other writers to look beyond their own “worthless writing”. To think beyond whatever negative forces try to belittle their words and focus instead on the uplifting feeling of positive feedback.